This exhibit depicts the anterior musculature and surface anatomy of the eye within the orbit. 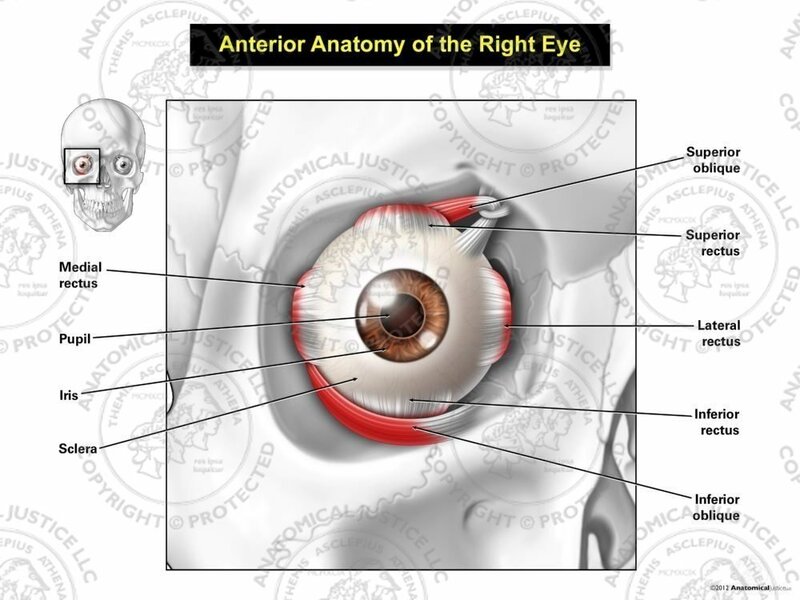 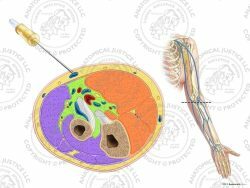 Orbital muscles include: the superior oblique, superior rectus, lateral rectus, inferior rectus, inferior oblique, and medial rectus. 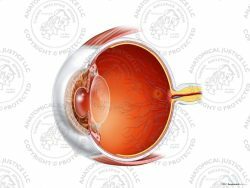 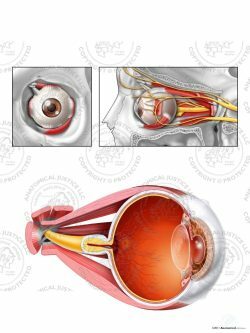 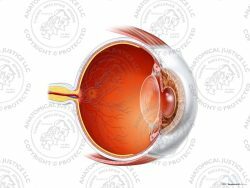 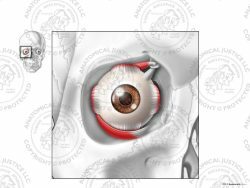 The pupil, iris, and sclera of the eye are also illustrated.